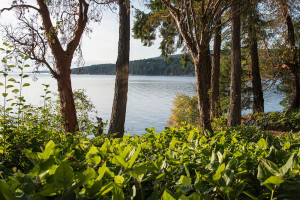 Salt Spring Island is one of the southern Gulf Islands on Canada’s West Coast. You can catch a ferry here or fly by seaplane! • Crofton near Nanaimo to Vesuvius on Salt Spring. Note that depending on your schedule you can travel by ferry directly from Tsawwassen, or you can go to Swartz Bay on Vancouver Island and transfer there to the ferry to Fulford Harbour. Make sure you ask for a “through fare” to Salt Spring. Reservations (1-888-223-3779) on the Tsawwassen direct to Long Harbour route are required and are free of charge. A nominal fee is charged for reservations on the Tsawwassen to Swartz Bay route. 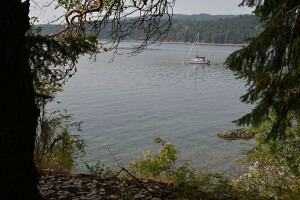 Reservations are not available on the Swartz Bay-Fulford or the Crofton-Vesuvius routes. Victoria International Airport is about 10 minutes from the Swartz Bay terminal. Sea plane services are available daily from Vancouver Harbour and Sea Island (very near the Vancouver International Airport)Victoria Harbour and Pat Bay (near the Victoria International Airport) to Ganges Harbour. You can also fly from Seattle to Ganges with Kenmore Air. 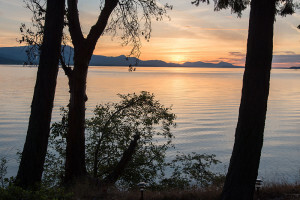 When you arrive on Saltspring Island, drive off the ferry and follow the signs to Ganges Village, the shopping and service centre on the island. On the main road find the fire hall in the centre of town and from there go north less than .5 km to Rainbow Road. Turn left onto Rainbow Road and drive 4 km, past Booth, Layard and Jenkins’ roads. Turn right at 960 Rainbow Road, the second driveway on the right after Jenkins Road.